Any finance-oriented industry will need to undergo constant development, changes, and face new competitors. In the cryptocurrency world, that situation is no different, although things are done a bit differently. Monero, one of the more popular altcoins, has undergone another major fork, which makes the project further ASIC-resistant and privacy-oriented. The trade-off is how its network hashrate has dropped off significantly in the process. When it comes to upgrading the core protocol of any cryptocurrency, a hard fork is usually the best way to go. Bitcoin has seen its fair share of upgrades over the years, and Ethereum is going down a very similar path. 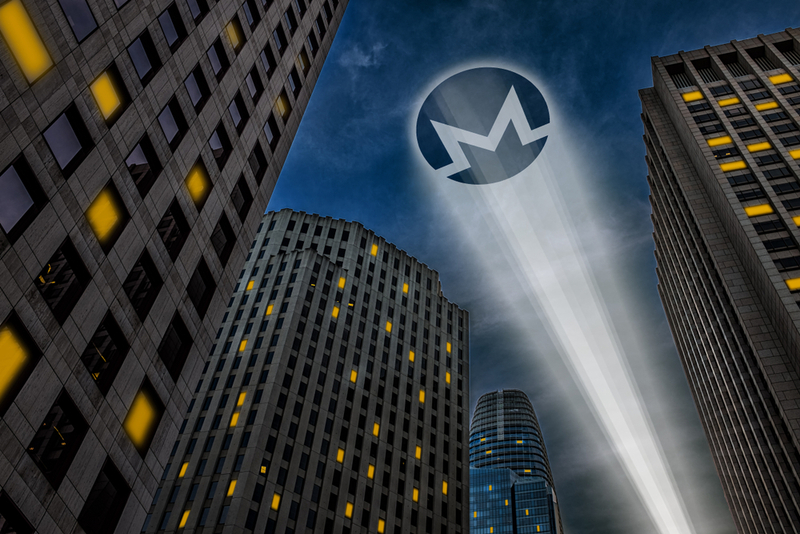 Monero, the anonymity- and privacy-oriented altcoin, has seen many major upgrades over the past few years as well. Its most recent hard fork has been deemed a success, which is rather promising, all things considered. As is always the case, there is a good reason as to why such a protocol upgrade is introduced. The Monero developers have never been a big fan of ASIC mining hardware disrupting their network. As part of this most recent hard fork, the team decided to successfully thwart current and future ASIC mining altogether. It is a very serious decision, although one that not everyone will agree with automatically. Some cryptocurrency users see ASIC mining hardware as a valuable addition, rather than a threat. Anyone who has high hopes for using ASIC mining hardware for Monero will be sorely disappointed. A new algorithm has been introduced, known as CryptoNight-R. It is incompatible with all current ASIC mining code and will – most likely -thwart all future ASIC mining efforts at the same time. All miners will need to update their mining software as well to be compatible with the new algorithm. It is this shift which is the main culprit for Monero’s network hashrate dropping off by nearly 80% in the past few days. For most cryptocurrency projects, a near 80% drop in hashrate would be quite catastrophic. It puts the project at severe risk, although it seems unlikely this situation will remain in place for Monero. The switch to new mining software will always have an impact and may take a week or more to be fully resolved. While some ASICs may have been mining XMR prior to the fork, their “disappearance” should not cause too many problems at this time. The latest hard fork also introduces some other noteworthy changes. First of all, the dynamic block size algorithm has been revamped slightly. Blockchain bloating attacks will no longer be a factor, which is a positive development. A quality of life change like these will please a lot of XMR enthusiasts, as it is a change everyone will benefit from in the long run. Combined with the introduction of additional transaction privacy, this fork seemingly has a lot to offer for everyone. As is always the case when an important protocol change is introduced, the new Monero clients were available for download well in advance. Users who have not upgraded yet are advised to do so as quickly as possible to avoid any potential issues. All service providers involved in Monero are expected to complete the necessary upgrade pretty soon as well. In terms of the network hashrate, it will be interesting to see what comes next for this altcoin project.